If you customized your NetScaler theme and when trying to login to its Access Gateway or VPN using Internet Explorer 10 or 11, you might get a blank screen instead of a login screen. 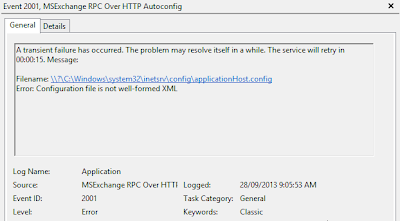 Exchange 2013 CU2 is upgrading the Active Directory schema as part of the installation. 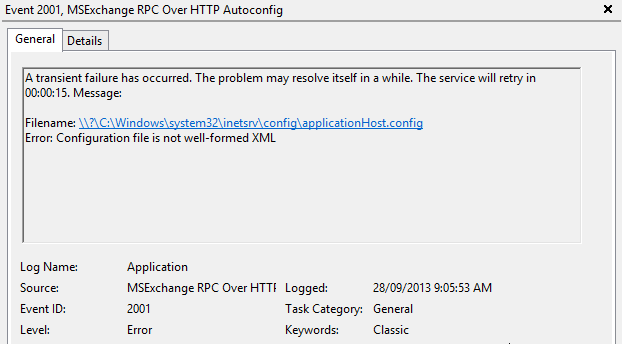 I prefer to run the schema change using the Setup.exe command line rather then using the GUI. and guess who owns the 157.56.162.105? This is a very high level steps how to have your workgroup servers to be managed by SCOM 2012. For them to be able to communicate and authenticate each other, they must be using a certificate. 1. Make sure your Workgroup server trusts your CA. If you don't have one, duplicate one from the "Computer" template with Windows 2003 version. Make sure "allow export private key" is selected and "subject name" is supplied in the request.